Just days after introducing the 2019 Sierra Elevation, GMC has announced two new Graphite Editions for the 2019 GMC Yukon full-size SUV. 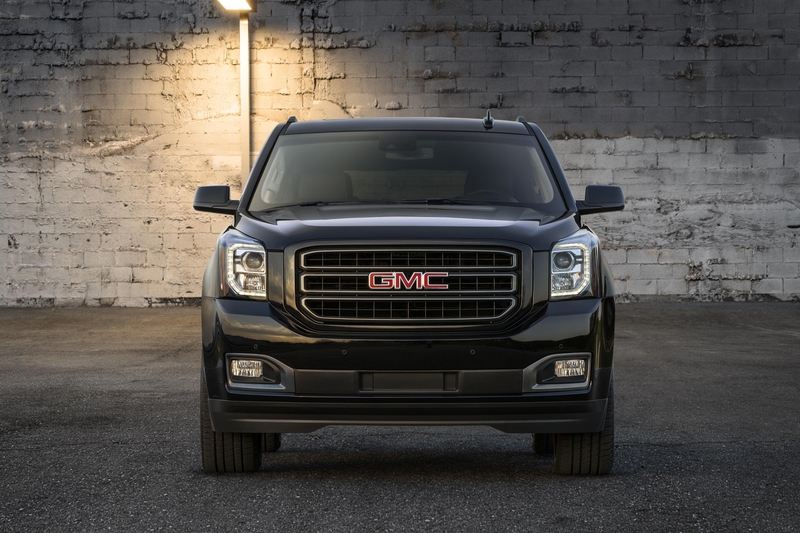 As the name suggests, the all-new Yukon Graphite Edition offers a darkened exterior appearance, while the Yukon Graphite Performance Edition adds several mechanical upgrades as well. 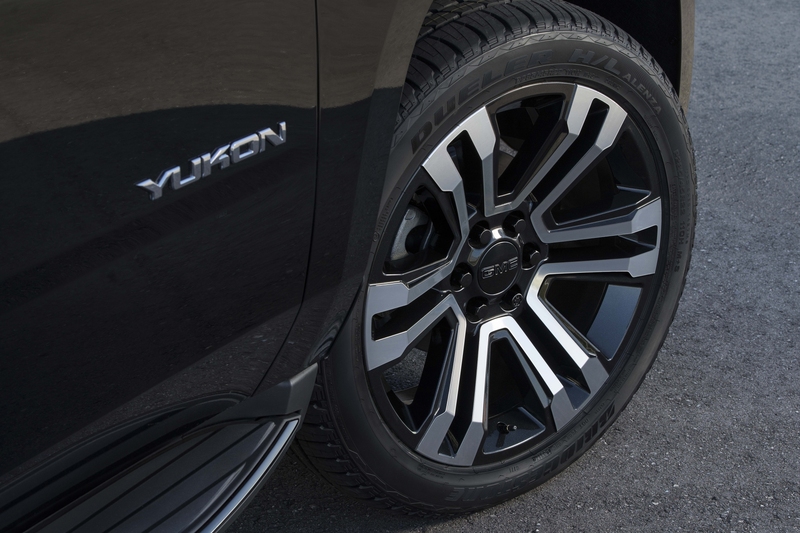 The Graphite Editions are reserved for the SLT trims for both the Yukon or Yukon XL formats, in both two-wheel-drive and four-wheel-drive configurations. The Yukon Graphite Edition has a host of aesthetic adaptations in the form of 22-inch bright machined wheels with Carbon Flash Metallic pockets, black assist steps with gloss black accents, premium black chrome grille mesh insert and fog lamp surrounds, body-color grille surround, black roof rails, gloss black beltline moldings and additional black trim. 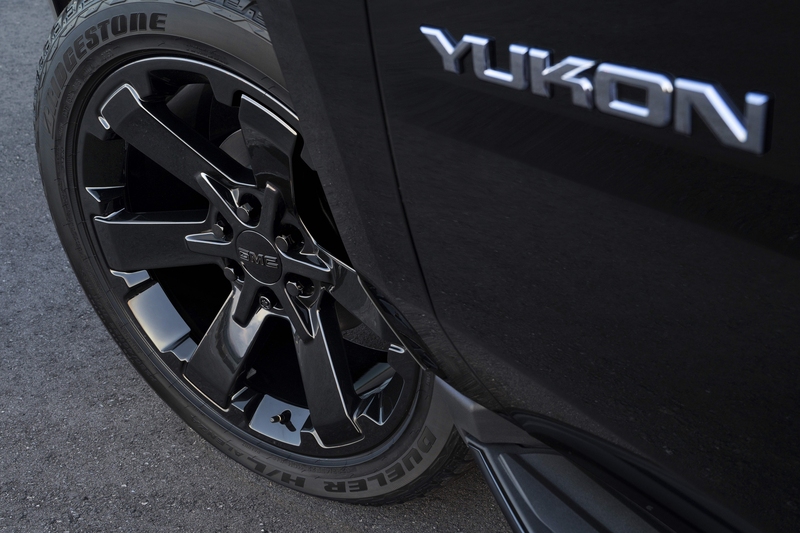 The Graphite Performance Edition, in addition to everything mentioned in the Yukon Graphite Edition and the inclusion of 22-inch six-spoke Gloss black wheels, adds several other mechcanical upgrades to push performance levels futher. It comes powered by a 6.2-liter V-8 engine equipped with features direct injection, Active Fuel Management and continuously variable valve timing, putting 420 horsepower and 460 pound-foot of torque under your right foot. It is mated to a 10-speed automatic transmission that improves efficiency by reducing engine rpm at highway speeds. These powertrain enhancements are complemented by Magnetic Ride Control, which uses sensors to “read” the road and can change the damping rate of the shocks almost instantly. It will also get any high capacity air cleaner, active two-speed transfer case (4WD models only), a trailer brake controller, a 170-ampere alternator and a 3.23 axle ratio. On the inside, you get two eight-inch color displays, one for the instrument cluster and the other, a touch screen serving infotainment purposes. Also part of the package are a color Head-up Display and Bose speakers with Active Noise Cancellation. The Graphite Editions of the 2019 GMC Yukon and Yukon XL will be in U.S. showrooms this summer and will be offered in three exterior colors, namely Onyx Black, White Frost Tricoat and Dark Sky Metallic. Pricing details will be announced closer to the date of sale. And if patience isn't your strong suit, you can always opt for the Midnight Editions of the Chevrolet Tahoe and Suburban, that's close enough.